ADP Payroll offers a variety of payroll and tax services for small businesses. Its features include online payroll computation and payment, healthcare benefits management, and tax compliance. We compiled ADP Payroll reviews from around the web and found that it has generally positive ratings. We also shared its available subscription options. Users who gave ADP Payroll positive feedback said that it has features that let users manage their payroll on the go. They also like that they can access all the payroll-related information in one platform. Users who gave ADP Payroll negative feedback said that the provider’s service is slow — both in setting up the software and dealing with customer service. They also felt that the platform’s features are outdated and lagging behind their competitors. According to a user who gave ADP Payroll positive feedback on G2 Crowd, he likes that he can maintain an activity and payroll history that are easily accessible for both employees and employers. He is also pleased with the editing features of the software which allows him to input all required info and update/edit them as necessary. According to a user who gave ADP Payroll negative feedback on Consumer Affairs, he dislikes that ADP Payroll puts a hold on certain payments for too long. He shared that this particularly creates a problem for him as he cannot access payments that need to be used for garnishment claims. 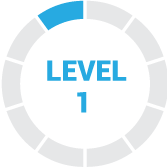 ADP Payroll offers three plans: Essential Payroll, Enhanced Payroll, and Complete Payroll + HR. Prices are not published but according to our research, the Enhanced Payroll plan costs $3,079.10/year which covers ten employees running on bi-weekly payroll. They require a one-time setup fee of $25 and charge $102.50 for issuing W-2 and 1099 forms. Check out the list below of some of ADP Payroll’s features. How many employees can I add to my ADP Payroll subscription? The ADP Payroll for small businesses allows users to manage the payroll of 1-49 employees. 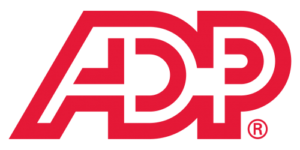 What are ADP Payroll’s payment options? ADP Payroll lets you use direct deposit to add money to your employees’ payroll accounts. You can also give them prepaid VISA Cards that they can use for their salaries or pay them using ADP Checks. This video provides an overview of ADP Payroll and how you can use the software to improve your payroll management tasks. Not sure if ADP Payroll is the right fit for you? Read our reviews of the top payroll software for comparison or check out one of these three ADP Payroll competitors. ADP Payroll is very reliable and fits the robust needs of companies with 50-300 employees. There are a lot of features that don’t need to be set up for each business and role. It would be nice to hide the features that won’t be used instead of just clicking into them to find out they aren’t set up. It would be a lot cleaner. Nothing really. They are pretty upfront with what you get and have delivered thus far on features and services. I think ADP Payroll would make an excellent for any colleges looking for a new student payroll system. The user friendly app makes it incredibly easy to view current and past statements and provides plenty of security. I have always felt that my personal information has been well secured while using this system. It could be because of wifi issues unrelated to the system itself, but sometimes as I go to log in, the app freezes and kicks me out. I wish that I had known about the mobile app sooner because I was originally bringing my laptop to work to sign in while I could have used my phone from the beginning. I used ADP Payroll through my place of business to get paid and love it. I know exactly when I will be paid, how much I was paid and so on. The card your issued can be used just like a debt or credit card. Once I start hiring for my business I will be paying my employees via ADP! So far I have no complaints and I’ve been using ADP for 3 years. How to use their services sooner. The gold standard for payroll and all things money! I think they are about as buttoned up as you can get in this category, and definitely worth a look if you need it! I think the price is always going to feel expensive, but to be honest I think it is well worth it considering all that it can do for your company! Nothing to say here. They are pretty honest. Super Easy to Add New Employees via the Online Portal. It is also easy to run payroll for a given period. I love when you are about to finish payroll for a given period, it lets you know how much cash is required for the payroll period. I love this because then I can double check that there is enough cash in the bank. Recording Cash Bonuses for employees is a painful process. You have to do it individually for every employee which takes a few minutes for each employee, so if you have a lot of employees like I do, you have to plan to spend a couple of hours manually doing this. Also, their support is not very helpful in resolving any issues you may have. ADP is also prone to not file the correct payroll tax documentation to state entities. I have had issues with them not submitting the correct information to Florida which has wasted my time it trying to resolve it. Even though it is user friendly, there are still problems like manually having to record bonuses. Also the pricing structure is really weird.